Pickup at all negril hotels at 8:00am and travel 15 minutes to reggae horseback until 11:00am. Shop in negril for one hour before having a local lunch at 12:00noon and enjoy Negril Seven Mile beach for some swimming. At 2:00 -3:00pm your glass bottom boat departs with small group trip and takes you to see the caves and finally to our world famous Ricks Cafe for Sunset. What is Ricks Cafe Combo Boat Tour? 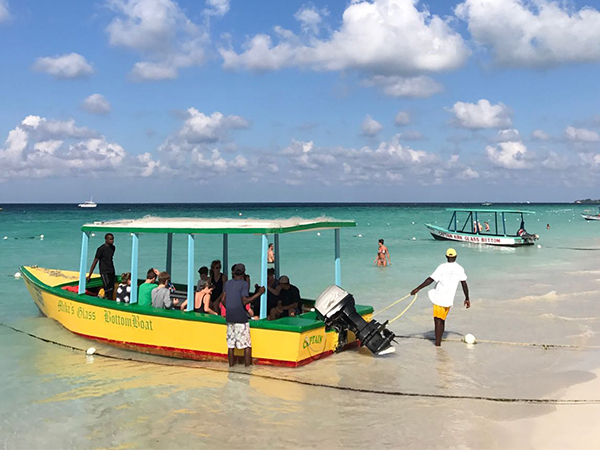 Many visitors to Jamaica chose to see our world famous Ricks Cafe transported by boat because the experience is breath taking. We have made this choice a lot more value added with taking you horseback riding on the beach, ocean ride n’ swim before shopping for souvenirs and a delicious local lunch in negril. Experience Negril town with your driver for locally produced souvenirs at the craft market or shopping plaza. Your hotel might not be close to the Negril town area if you are staying at Azul Sensatori, Couples negril, Swept Away, Royalton negril, Riu negril & Riu palace hotels. Our UK visitors traveling with Tui & Thompson Tours/pre-booked Tui excursions, love our small group tours. We guarantee no long lines because we have a special VIP partner services program with all attractions. We specialize in combo tours. This Negril Combo tour provides tremendous insight about jamaica, our food/culture and a small town tourist destination. You will enjoy the Negril Seven Mile beach at the Sandy Haven Hotel with full access to the beach chairs and bar for drinks even with a small spending budget. At 2:00pm-3:00pm your glass bottom boat departs for the Negril Caves where you will surely find it interesting and adventurous. You will continue to our world famous Ricks Cafe, enjoying the most beautiful sunset and daring cliff divers jumping from 80 feet with courageous somersaults. Capture the memories and let us know which of our other combo tours you would consider with our popular repeat customer discount. The tour is suitable for all ages, children should be accompanied by an adult by car to Ricks Cafe and during the boat ride. Children must be 5 years or older to participate in the Horseback Ride n’ Swim activity. Please note we also have a max weight restriction of 250 lbs to ride our horses. 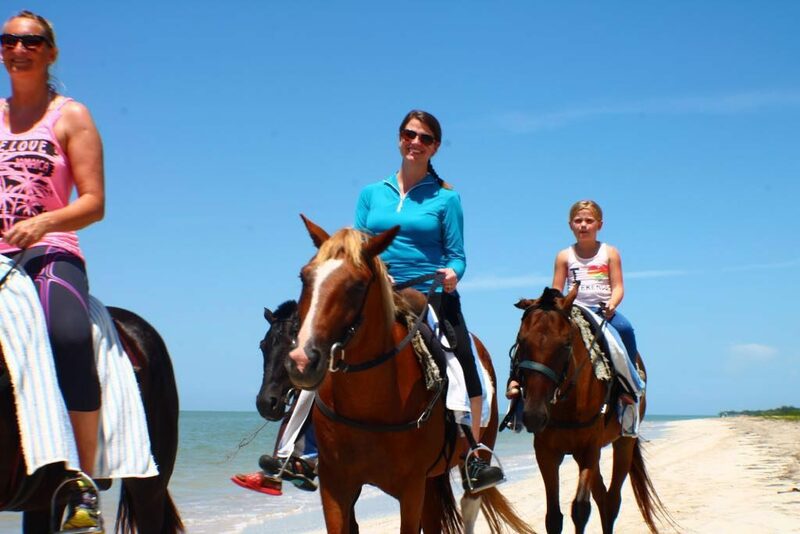 Read more on our horseback tour here. To book a place on this tour please call us on +1 876-881-6917, email us or drop us a live chat message below.